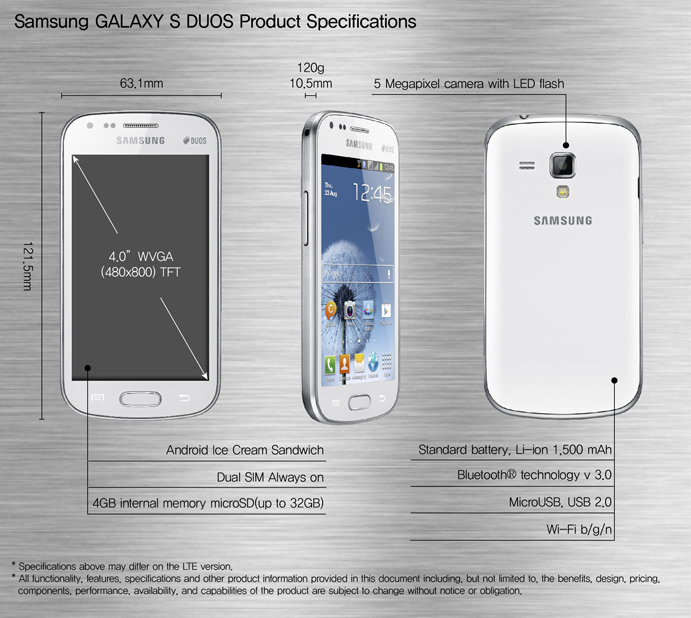 Samsung has officially announced Galaxy S Duos S7562 which is android 4.0 ICS ( Icecream Sandwich ) smartphone with dual sim capabilities. Finding a high-end GSM + GSM dual sim dual standby smartphone is really difficult as consumers have very few choices – Taking this note in concern, Samsung is trying to launch more dual sim android phones with high end specifications matching its popular and flagship handsets. The latest addition in this respect is Samsung Galaxy S Duos powered by 1GHz processor, 512 mb RAM(768 mb RAM has been reported in some cases – RAM specs To be confirmed), 4 inch display (480*800 resolution – 233 ppi Pixel Density), 4 GB internal memory with support of upto 32 GB external memory card. Talking about its imaging capabilities, the handset can capture photos of 5 megapixels and do video recording of 720p HD quality. The camera comes with flash. Secondary VGA camera is also present in this dual sim smartphone. Weighing just about 120 grams, Samsung Galaxy S duos is 10.5mm thick. The battery is of 1500 mAH capacity. Other usual features are 3G, wifi, bluetooth 3.0, fm radio, etc. It provides unique ‘Dual sim Always on’ feature which allows you to receive calls on the 2nd sim card network even if you’re on call on the 1st sim card network. This ensures that you never miss calls. It comes preloaded with ‘Samsung Chat on’ and is targeted at youths. 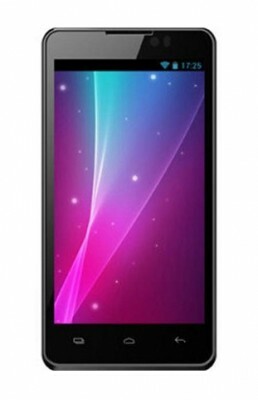 This dual sim Samsung android mobile is similar in look to that of Samsung Galaxy S3. It is far better than Galaxy Ace duos in specifications and appearance. 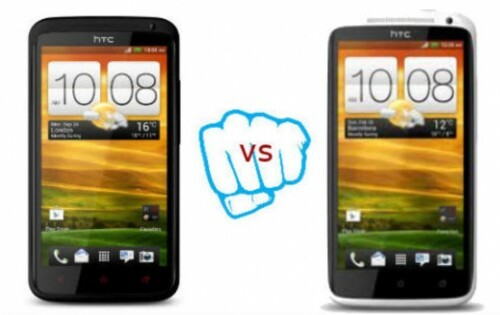 It may convince those consumers who are looking forward to buying a beautiful dual sim android handset from a reputed brand like Samsung. Although the specs are good but it does not give you the current and updated feel in the age of quad core processors in phones. It will be launched in early September in Europe and then to other parts of the world gradually. The price of Samsung Galaxy S Duos in India is Rs.17,100..
Physically attractive (similar to Galaxy S3). 4 inch multi-touch capacitive display (480*800 screen resolution). 3G, video-calling, wifi, bluetooth 3.0. Not very updated Hardware specs (We don’t have android phone with high end specifications matching that of Galaxy S2 or Galaxy S3). Just 1500 mAH battery (Since it is dual sim smartphone, it should have a better battery). We’ve not yet received any phone from reputed brand in dual sim smartphone segment with hardware specifications matching the present and updated technology so this phone may not be the dual sim phone you’re looking for if you want the powerful android phone and high-end experience. It is a very good news that you have done a popular thing.